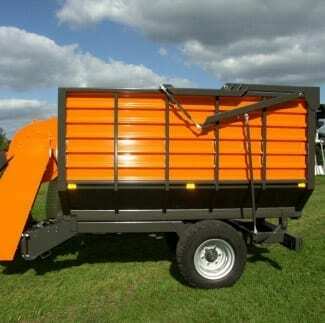 The VT550 is a vacuum trailer for maintenance of parks, plantations, sports fields, golf courses, etc. A container of 5.5 m3 and a low own weight makes it possible to use the trailer on compaction sensitive soils. The VT550 tilts hydraulically and has an automatic opening tailgate. Turbine and housing are made of durable materials. Several options are possible, like a suction hose with an oscillation system for leafs on the road sides, a funnel of 1.7 meter wide for sports fields, golf courses and parks and a scarifier shaft to scarify and clean in one shift. With these options, the VT550 is from spring to winter deployable.